It’s amazing how time flies. Only four years ago, Microsoft launched the Xbox One, its successor to the Xbox 360, but the Xbox One was a strategic departure from the Xbox 360 in many ways. Microsoft bet big on a couple of key features, and while some of them were successful, others were not. The Xbox team has some very clear goals for their latest console, the Xbox One X, with arguably the biggest goal being true 4K gaming support. The idea of console generations is being expunged from our memory, with a new, more powerful console, but one that plays all of the previous model's games without emulation, and is a clear win for users. First announced at E3 way back in 2016, "Project Scorpio" was the code name for what is now launching as Xbox One X. Microsoft, by announcing very early, set expectations very high for their new console, and we don't normally see these kinds of announcements, with as much detail, so early. But in the time since they first announced the new console, they've only provided more and more information on what is inside, to a level that we are not used to seeing in the industry. As an enthusiast of gaming, consoles, and general technology, it's been a refreshing take on what is normally a black box (pun intended) to most of us. We can't ignore the present, either. After jumping on the scene with the original Xbox, Microsoft was a bit of a surprise in the console space, bringing new ideas to the industry which have been emulated across other products as well. Network gaming with Xbox Live, and copying game data to device storage for faster access were just some of the ideas pioneered with the original Xbox. When the Xbox 360 launched, it was very successful thanks to a combination of price, features, and lack of initial competition. When the Xbox One launched, there was likely a feeling in the development team that they had an established user base now, so the majority of that user base would transition to the new console, but the Xbox One has struggled to compete against Sony's PlayStation 4 in terms of unit sales right from the start. It was a tough lesson to learn, but brand loyalty was clearly not as strong in consoles as it is in other areas. That's not to say the Xbox One has been a failure. Sales have been strong, and sometimes stronger than the Xbox 360 at the same point in its lifecycle. Still, with this generation, Sony has had the upper hand, and last year, around this time, they launched their own upgraded console, the PlayStation 4 Pro. 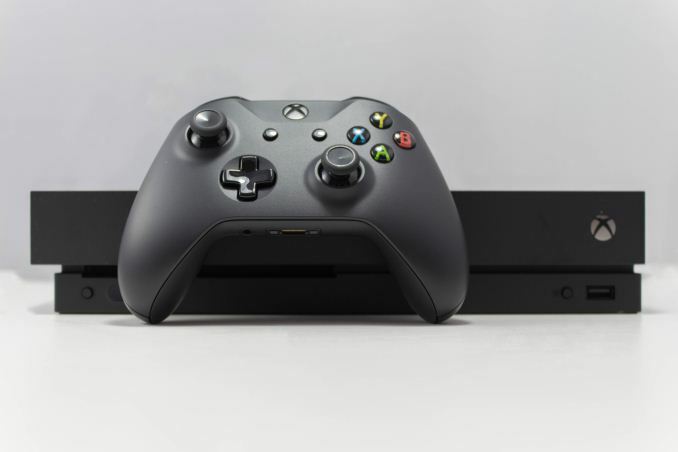 The Xbox One X is an evolution of the Xbox One, which itself had already evolved into the Xbox One S last year, gaining 4K support for media, and HDR support for media and games, as well as a small performance boost. But the Xbox One X is not a replacement for the Xbox One S, which is still going to occupy the lower end of the price spectrum. The X is meant to be the high end, competing directly against the PlayStation 4 Pro. But before we look into what's new with the Xbox One X, it's important to dig into the history of the Xbox One, because unlike the Xbox One S, this is a much different system inside. Going back four years, it’s kind of amazing to see how much the original Xbox One, and its philosophies, have changed. When the console launched, Microsoft went all-in on Kinect, bundling a Kinect motion capture device with every console. At the time, they had big hopes for this technology, and by including it with every console, developers could guarantee they could target it. It was a big gamble, but one that ultimately failed. 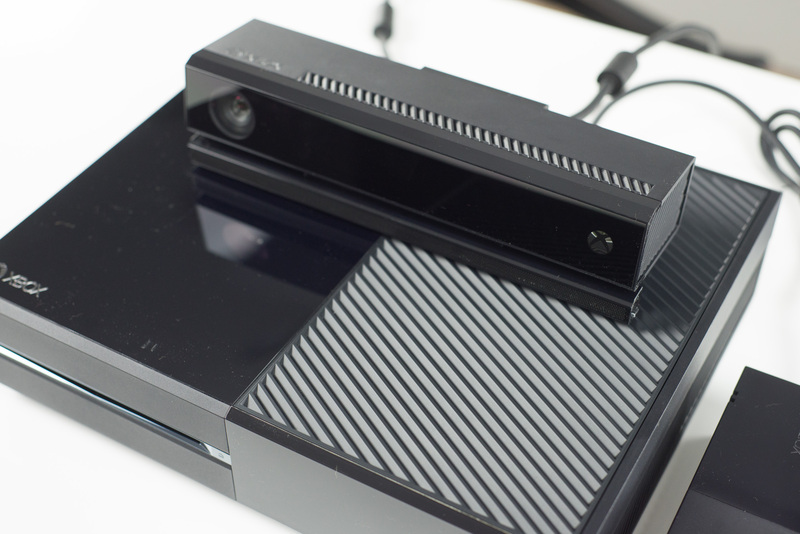 Microsoft eventually offered a console without Kinect, and the accessory has slowly died away. It is honestly for the best too, since Kinect did not work as well as promised, and it was seldom targeted by developers regardless. The Kinect was arguably the highest profile mistake of the Xbox One, but it was far from the mistake with the biggest impact. 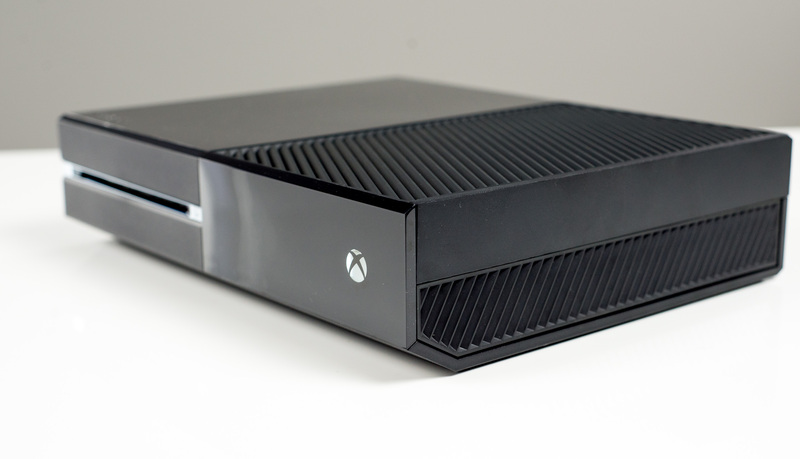 Microsoft played it safe in the design of the Xbox One, including 8 GB of DDR3 RAM. This might not seem like a huge deal, but in fact, this was arguably the single biggest mistake made with the original Xbox One. It had a cascade of repercussions in the entire Xbox design, which ultimately resulted in Microsoft releasing a console that had about 33% less performance than the competition. Let’s dig into why that change had such an impact, so we can see what’s changed with the Xbox One X. The decision to go with DDR3 over GDDR5 memory was likely due to a worry from the Xbox designers that they would not be able to source enough GDDR5. At the time, there were real concerns about whether enough GDDR5 would be available, and when Sony put all their eggs in the GDDR5 basket, there was a chance that they would be limited in production because of this. Once again, with history behind us, we know that wasn’t the case, but that’s not to say that if Microsoft had also chosen GDDR5 that there would not be supply shortages which could drive up the costs significantly, as well as limit production. The decision to go with DDR3, which was implemented with a 256-bit bus, limited the Xbox One’s system memory bandwidth to 68.3 GB/s, compared to the PS4 which had 176 GB/s with its GDDR5. To help make up the difference, Microsoft implemented 32 MB of eSRAM on the SoC itself, which was an addressable section of memory with up to 204 GB/s of bandwidth (102 GB/s each direction) where developers could target specific assets. It wasn’t a cache, to be clear, and required extra work by the game developers to take advantage of this. The eSRAM ate up a lot of space on the SoC, meaning Microsoft had to cut back on other components in order to keep their APU within their size budget. That meant cutting down to 12 compute units (CUs), compared to 18 in the PlayStation 4, and likely more importantly, cutting down to 16 raster operations pipelines (ROPs), compared to 32 in the PS4. As much as the CUs get the headlines, it’s likely the ROP total that impacted the ability of the Xbox One to target 1080p the most. But, this all stems from the decision to leverage DDR3. Partially because of Kinect, Microsoft targeted a $499 price point for the original Xbox One, which was $100 higher than the more powerful PlayStation 4. With the benefit of hindsight, it was clear that Microsoft made some poor decisions when designing the original Xbox One. The question is, what have they learned from those mistakes? When the Xbox One first launched in 2013, the marketing message around the console was decidedly mixed, with Microsoft promoting the media capabilities of the device to a strong degree. With some management changes, the new Xbox team is decidedly gaming first. The new console is designed for gamers, and the marketing and messaging around it targets gamers. That can be seen specifically around the introduction of Xbox backwards compatibility, which first brought Xbox 360 games to the Xbox One, and has just recently been extended to some original Xbox titles as well. CPU µArch AMD Jaguar AMD Jaguar "Custom CPU"
Microsoft now knows that performance is critical. You could easily argue that both the PlayStation 4 and Xbox One both launched with hardware that could struggle with 1080p gaming, but the Xbox One felt that impact sooner, meaning games had to be scaled back on the Xbox One to avoid hiccups during game play. Microsoft wants to avoid that with this round of console updates by offering 6 TFLOPS of peak shader throughput, compared to 1.31 TFLOPS in the original console. This is almost five times the shader performance of the original Xbox One, and 1.42 times the peak shader throughput of the PlayStation 4 Pro. You can see the gaming focus in other areas as well. Microsoft launched the Xbox One Elite controller back in 2015, and they added the Xbox Design Labs shortly after where you can create your own custom controller design. They’ve added the Xbox Game Pass subscription service, and partnered with EA on the EA Access as well. 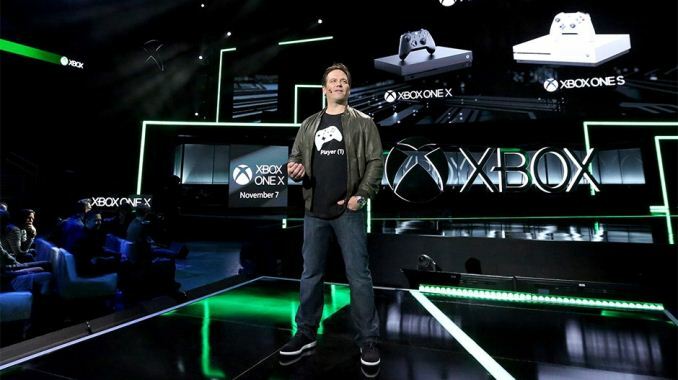 In short, after some missteps, the Xbox team is focusing on gaming again, and it shows. Yeah people are asking 400 dollars Canadian for a USED gtx 1060 6gb. This is priced very competitively in Canada for sure, just 599. There is a strong case to be made for building an i3-8100 system for your living room instead of buying an Xbox One X, to get strong 60 fps support. Seeing how AMD seems to have a lock on console APU's/SoC's I would bet real money the next consoles will be based on Zen cores with a Vega GPU. Microsoft, Sony, and historically Nintendo, all seemed pretty comfortable working with AMD.